Lindsay Andersen - Ballet Arts Centre of Winchester, Inc.
Lindsay Andersen began dancing at the age of 4, studying tap, ballet, and jazz throughout her youth. She continued training as she moved across the US with her family, adding pointe, lyrical, musical theatre, hip hop, and world dance forms such as African and Spanish to her repertoire. She performed in The Nutcracker with the Williamsport Civic Ballet and was part of the ensemble cast of several Operas and Operettas. Additionally, Lindsay grew up performing in musicals and has appeared on the stage in Colorado, New Jersey, Pennsylvania, and Ohio with some of her favorite roles being Wendy in Peter Pan and Miss Hannigan in Annie. Lindsay was the first graduate student to receive a Master of Fine Arts degree in Dance Pedagogy from Oklahoma City University. While in graduate school she focused her studies on teaching and choreographing for dance students between the age of 8 and 18, and helped establish a dance center for the community on campus. In addition to her MFA in Dance, Lindsay also holds a Bachelor of Music degree in Vocal Performance/Opera from the Cleveland Institute of Music and she is a Balanced Body certified Mat Pilates instructor. Lindsay has taught in New Jersey, Ohio, Oklahoma, New York, Vermont, and Massachusetts, and she is currently working on an instructional tap book. 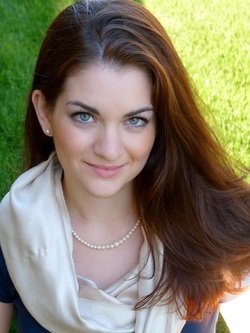 Lindsay joined the BAC faculty in 2011.